At this point, I'm not sure whether to rush a pre-alpha (free) release ASAP, or to bide my time and get NPCs up and running first. At the absolute minimum, I can make a release as soon as pickups get sucked into your inventory. We've been tweaking some of the visual styles of Aetherius this week, trying to hit a perfect colour scheme that doesn't feel too dark, or light and fluffy. The initial skybox gradient had a dash of pink towards the bottom, the logic being that a gradient of any kind is nicer to look at than a flat blue sky. It looked nice for a time, but it had some artefacts towards the top corners of the skybox that bugged me to the point of rewriting the skybox from scratch. Now the gradient is much more subtle, from blue to light grey. The shovel is as you would expect; designed to improve the speed of digging soft earthy materials. The coin is a bit more complicated. I believe Aetherius needs a common currency, but I don't believe gold coins should pop out of dead foxes. I think the only ways to get currency would be to make it from raw and refined materials, to trade for it with NPCs, or finding it in apparent man-made lootables (chests, dungeons, pots, etc). The Point of Interest marker (question mark) on the right, is likely to be a non solid object that hovers above certain objects. It may be a settings toggle, or made visible by crafting a specific item. This image was cut together from several screenshots to save page-space. On left we have the cherrybomb. This sucker will create a small explosion that deals damage to anything within its (customisable) blast radius. It will destroy most materials without issue. 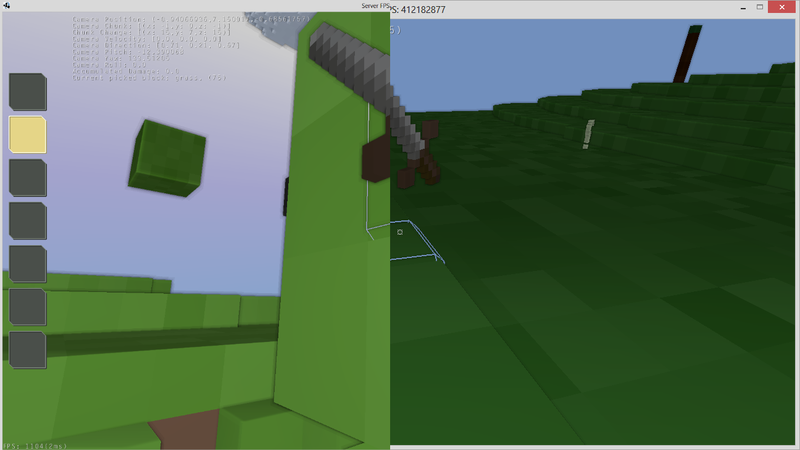 The sword is likely to become the default weapon, received or seized from the introductory/tutorial NPC. It is made of weaksauce, not iron as it appears. The flower on the right is our first example of scenery. Scenery objects are usually not solid (but there's an option for that in the modeller), and can be fairly large. When broken they pop into your inventory as a whole object, not the materials they appear to be made from. Some notes: The woofwood and woofleaves will spawn in the world as a type of tree. They will burn almost instantly, and make for excellent fuel where fuel is needed. Goop will be treated as a super-viscous liquid, taking several minutes to spread into neighbouring spaces. Aetheria is Aetherius' manifestation of mana. Its an energy source attached to the player and equipped gear, can be used for casting spells, or fuelling aetheria based machinery. Bloodstone will leak a bloodlike particle effect, and spread by converting appropriate neighbouring voxels, similar to grass. 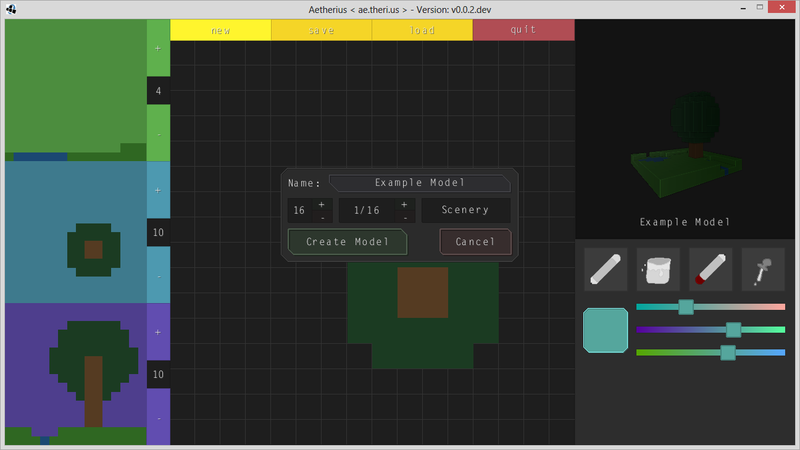 This is our modeller interface. We use it to create ALL of our models that appear in game, and you'll be able to use it too - right from day one. 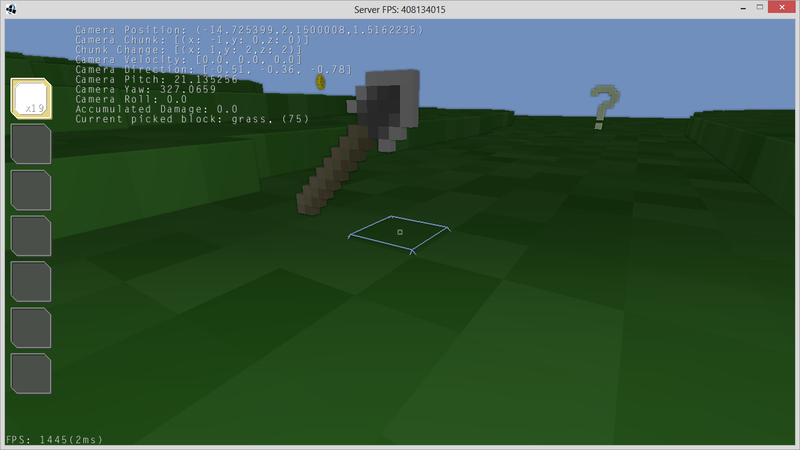 At the moment it only allows you to define some basic features however; the size (width in voxels) and its in-game scale (1/16th of a world voxel per model voxel, up to 16 world voxels to a model voxel), whether or not the model is Scenery, Gear or Consumable with more types to come later, and a name for the model. 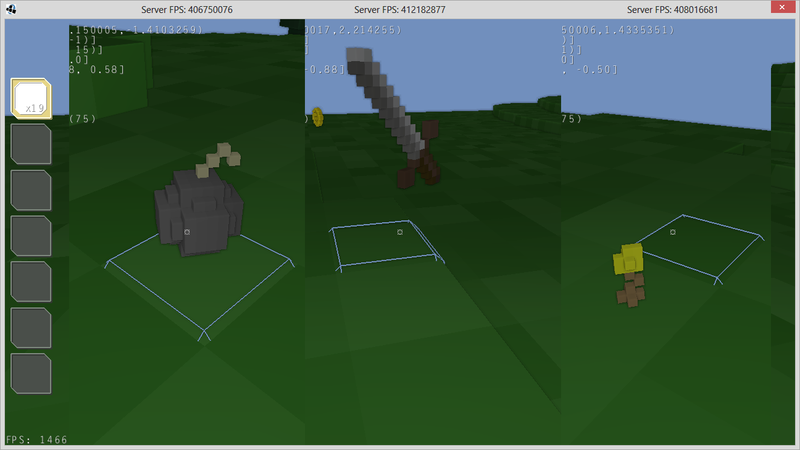 We'll be adding more and more capabilities to the modeller as we go. 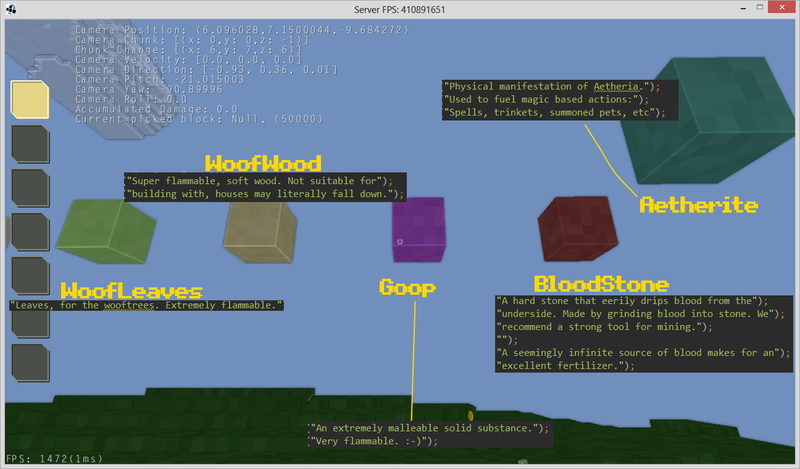 Features like specific animations, attributes and physics properties (solid, heavy, etc). Provide the beta at a slightly increased price (when ready, of course). 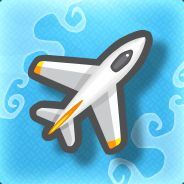 Provide the full release for a price around $30 or so. From day one, also provide a free demo that is consistently kept up to date with the release version, but is limited to a pre-generated world, with restrictions placed on the modeller. If you buy the game at ANY point in development, the game is yours forever including all future updates. 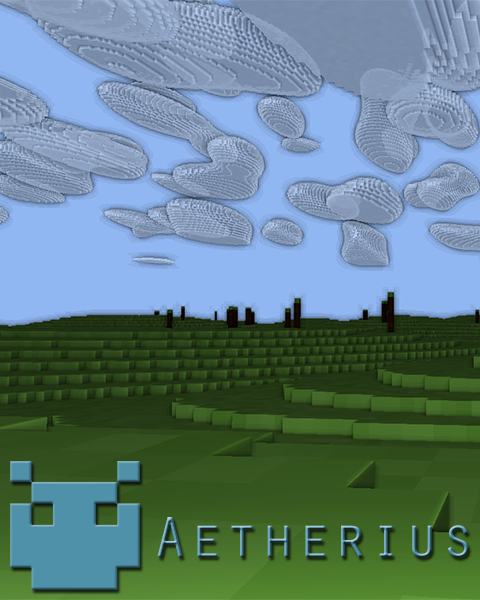 So in conclusion; Aetherius is coming hard and fast. Keep your eyes open for an alpha release coming ASAP. How do you play it on line? Should we understand that the game is dead? Great work! You just need to change the texture only. I wouldn't really pay for this game, because... Eh... It's just not one of those top notch games. Now, if we were talking about 2 dollars a lot more people would buy it, including me, and then you would get money quicker other than getting a lot of money at once, you get it little by little, you don't want something too expensive or else people won't buy it. It's not finished yet. It's not even alpha. :-) We've got plenty of time to add more notches yet.